Share delightful days in the sun at our 4 star Zante Hotel where endless choices await you. Pools, tennis courts, beach volley, gym, mini club, children's pirate ship - these are just some of the exciting activities at the Louis Zante Beach 4 star hotel on Zakynthos Island, Greece. Top it of with our perfect Laganas location and friendly staff, along with our all inclusive option and you'll enjoy the very best of Zakynthos Island. Our 4 star all inclusive hotel in Zakynthos Island is awarded with Certificate of Excellence from TripAdvisor for 2017 and it is recommended by Holiday Check for 2017. As you leave the airport go straight for approximately 500 meters and turn right on the first turning. At the first stop sign turn right. Continue until you reach the next stop sign which is at the Kalamaki Village. Turn right again and drive for approximately 2.5 km until you see our hotel Louis Zante Beach on your left. As you leave the Zakynthos Port turn left. At the first traffic lights turn right and then immediately left from the first turn possible. Turn right from the second turning and continue for approximately 3km until you reach the next stop sign which is at the Kalamaki Village. Turn right and drive for approximately 2.5 km until you see our hotel Louis Zante Beach on your left. Summer 2017 | Get up to 10% Off & FREE transfer from/to Zante airport! 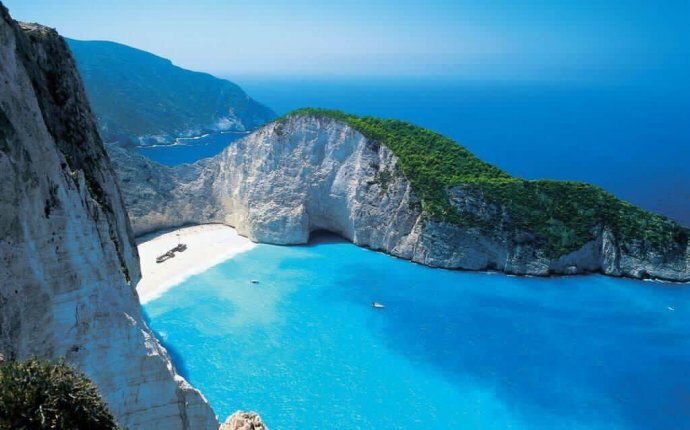 @discoverwzainab enjoying the beach in #Zakynthos #Greece!